PURCHASE BULLETIN NO. – ELS/BNDM/EPLT/BT/15-16/09 Date. 22.02.2016. Corrigendum: Bulletin Tender No. 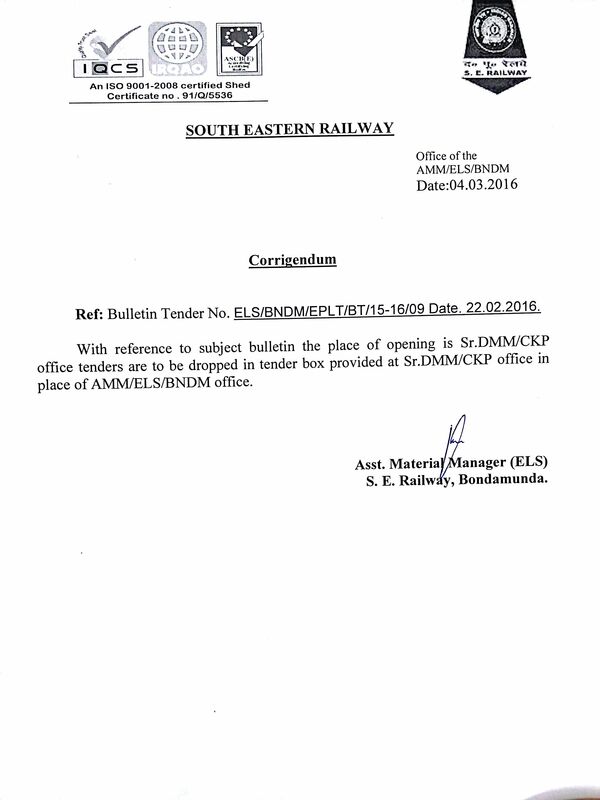 ELS/BNDM/EPLT/BT/15-16/09 Date. 22.02.2016. Cleaning and Removal of Garbage, Debris, Earth silts , Dry refuse, leaves etc. from Railway settlement of Sector - A,B,C,D,E, Diesel colony and Driver Colony, Bondamunda etc.